Pia Alonzo-Wurtzbach finally confirms that she is dating. The Miss Universe 2015 is romantically linked to New York-based physician Mikhail Varshavski, also known as Doc Mike. Miss Universe 2015 Pia Alonzo-Wurtzbach finally admits that she is dating. 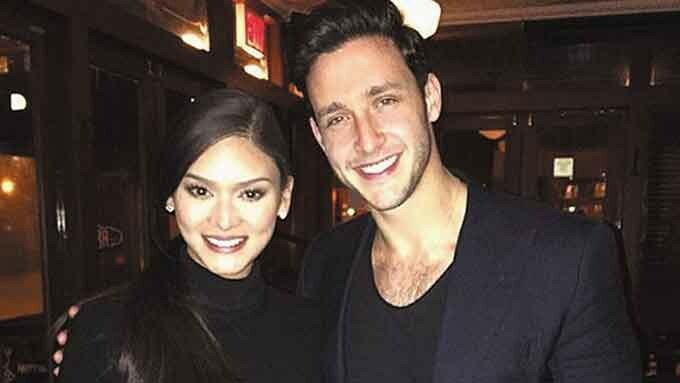 Pia's admission came after New York-based physician Mikhail “Doc Mike” Varshavski confirmed reports that he is dating the Filipina beauty queen. In an interview with Mario Lopez of the Hollywood entertainment show Extra, Pia, together with Miss USA 2015 Olivia Jordan, were asked about their love life. Based on the photo, Pia and Doc Mike;s relationship became official on March 11. Another photo grab from the Sexiest Doctor Alive's Snapchat app also circulated, showing him and Pia lying beside each other in bed. Read: Pia Wurtzbach 'in a relationship' with Doc Mike?